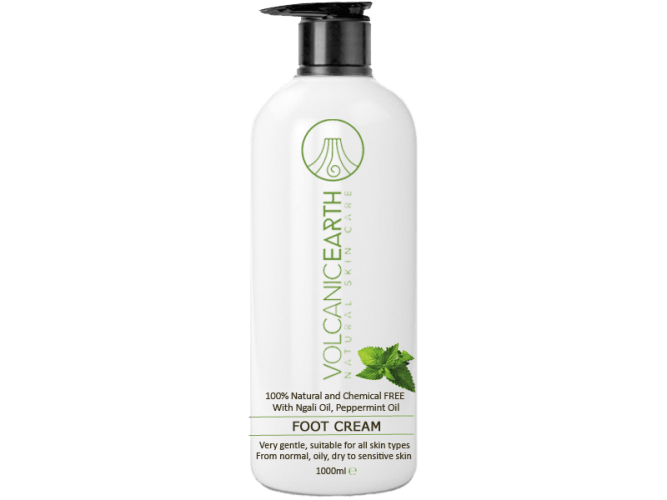 Volcanic Earth Foot Cream helps to relieve skin irritation, itchiness, skin redness. 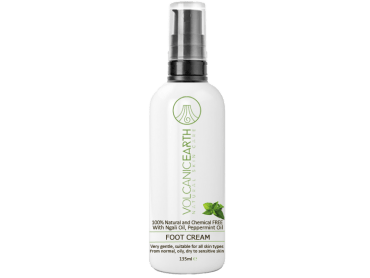 Soothe tired feed and increase circulation. Peppermint oil is a very useful essential oil with antimicrobial properties. Refreshing and cool, AND all without any preservatives, chemicals or artificial colouring! Peppermint plant has been known for centuries, since the 17th century. The leaves of the peppermint already have a fresh fragrance, but during the extraction a typical peppermint smell is created. Oil from the peppermint plant is costly since not much oil is extracted from the plant. Oil is extracted by steam distillation. The peppermint leaves are put in to special boilers with water, in which steam is blown. The steam heats the leaves, so that the peppermint oil is released simultaneously with water vapor. After cooling of the vapor, the oil continues to float on the water. The oil can easily be separated from the water..